Dolly Parton’s movie 9 to 5 was a huge success, 100% fun and games, filled with fabulous tunes. It was transformed into a rollicking musical in 2008 and fans have been waiting with bated breath for the show to hit London. Now it's here, and you can be one of the first to experience the Dolly effect. Prepare yourself for the show of a lifetime! The Savoy Theatre stands next to the world famous Savoy Hotel. A devastating fire in 1990 destroyed the original building and today it is modern and geometric inside, perfect for hosting massive, impressive stage musicals. 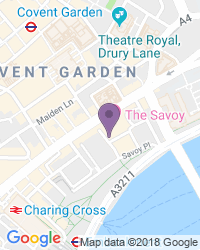 The original site of the Savoy Theatre was once a 13th century palace called the Savoy Palace, created by Peter, Earl of Richmond, on land given to him by King Henry 3rd. Later the site of a hospital and a military prison, it became a theatre in 1881 when the wealthy Richard D’Oyly Carte, who adored Gilbert & Sullivan’s comic operas , became determined to stage them in the West End and created a purpose built venue, the first ever to include electric light. An instant hit, the new theatre put on a run of eight extremely successful Gilbert & Sullivan shows, lit by a magnificent 1200 new-fangled light bulbs. It was such a success that the family used the profits to build the famously posh Savoy Hotel in 1904. Richard D’Oyly Carte died in 1901, after which his beloved theatre was dogged by misfortune, with fifteen years of failures and closures to its name. In 1915 the great man’s son, Richard, took over the management of the theatre, opening the freshly renovated venue in 1929 with Gilbert & Sullivan’s The Gondoliers. The Savoy Theatre remained in the D’Oyly Carte family until 1985, when the last family member died without an heir. West End theatres, usually lit by dangerous gaslight, burned down regularly in the past. But the Savoy, the first ever electrically-lit West End theatre, didn’t burn down until the 1990s! The building’s original designs were long lost by that time but it was carefully rebuilt all the same, after which it re-opened again in1993 in a ceremony attended by Princess Diana, for a four year run of Gilbert & Sullivan shows. Later, the new owners took a musical theatre direction, presenting musicals The Rat Pack, Fiddler on the Roof and most famously, the smash hit musical Legally Blonde. Hauntings at the Savoy Theatre! Cast members and the public have spotted various ghosts over the years, including a mysterious man and a grey haired old lady, invisible presences, weird smells and pockets of inexplicable freezing cold air. As well as countless Gilbert and Sullivan comic operas’ the Savoy Theatre has hosted the massive musical hit Dreamboats and Petticoats as well as Rodger and Hammerstein's famous musical Carousel, starring Lesley Garrett, Alexander Silber and Jeremiah James. Wheelchair users can access the Savoy’s box office through three sets of double doors, without steps. There’s easy access to the auditorium via the Carting Lane entrance, and the hard of hearing can pick up headsets from the Cloakroom. Guide dogs are allowed in the auditorium, alternatively theatre staff are happy to dog-sit. 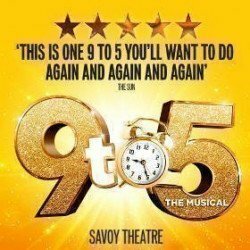 We’re a trusted destination for a wide variety of seat types and prices, with excellent availability on the full range of Savoy Theatre tickets.